The iconic singer sets strict technology rules for her kids. 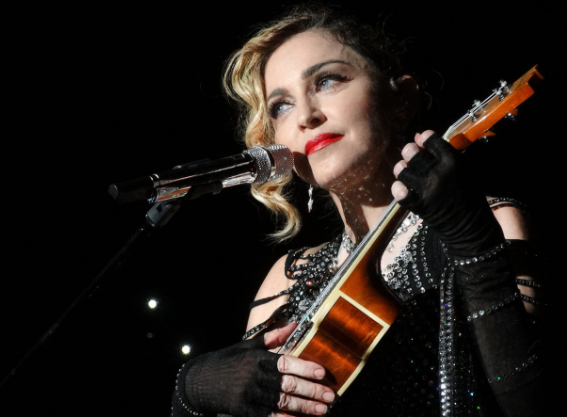 Madonna is known for being adventurous with her music and her style, but parenting seems to be one area where she keeps things pretty no-nonsense. The 59-year-old mother of six told PEOPLE about her “complicated” life as a parent and why she embraces the role of the “bad-cop” when it comes to her kids’ technology use. Despite her busy schedule, Madonna tries to give her children a grounded life. And for her middle children, David and Mercy, that means no cell phones. Madonna isn’t isn’t the only high-profile parent setting boundaries on their kids’ tech use. In April, Microsoft founder Bill Gates shared that he didn’t allow his three kids to have smartphones until the age of 14. And business mogul Mark Cuban told Thrive Global that he uses his own tech knowledge to limit his kids screen time. “That’s the downside of having a geeky dad, you know. I can figure all this stuff out,” said Cuban. Read more about Madonna’s parenting style in PEOPLE.